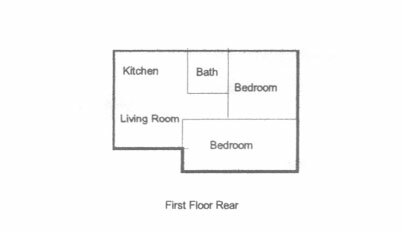 Click on the floorplan or photos below to enlarge. 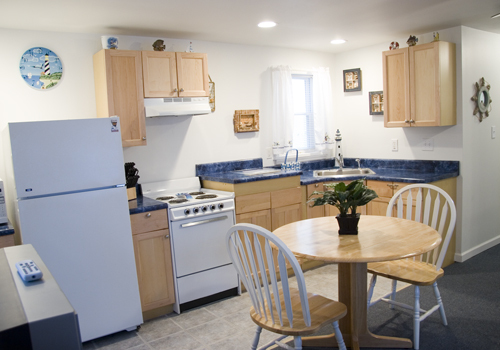 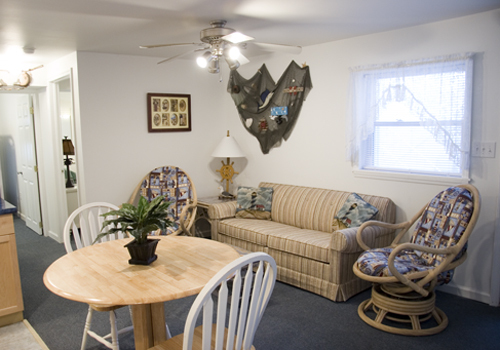 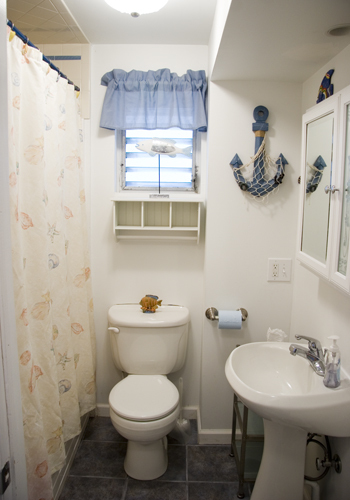 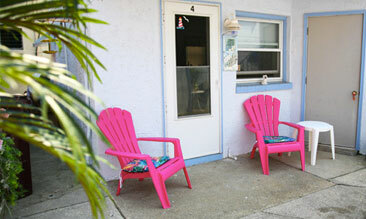 Cute and cozy, this quaint apartment located on the 1st floor of the cottage. 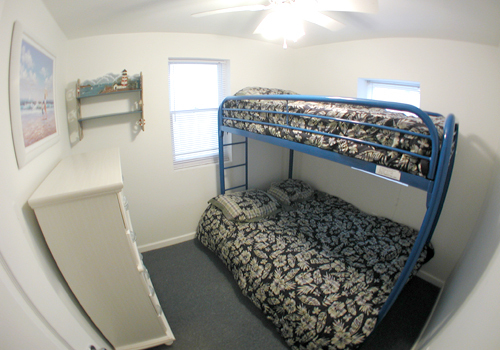 This delightful cottage has 2 bedrooms and 1 bath with 1 full bed, and a bunk bed. 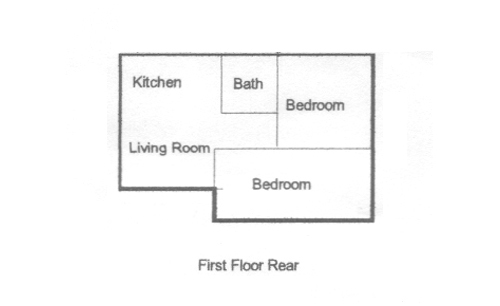 The suggested occupancy for this apartment is 2 adults and 2 children or 1 adult and 3 children. 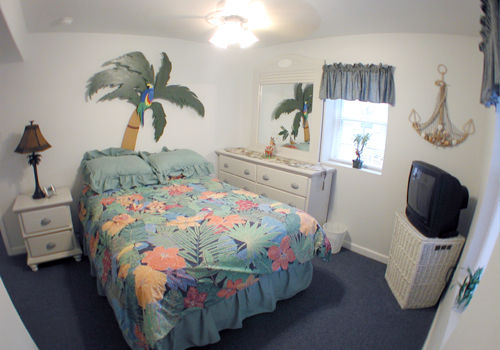 This apartment will sleep 2-4 comfortably.